We are a 501 (c) (3) organization whose mission is to “raise awareness and provide education regarding the prevention, diagnosis, and treatment of prostate cancer through community and national outreach programs, synergistic communications and an established health alliance with local, regional and national medical organizations and providers”. Our motto is KNOWLEDGE, FAITH AND EARLY DETECTION MATTER MOST. 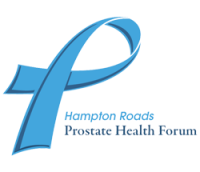 Our vision is to contribute on a sustained basis to a significant reduction in the suffering and the number of deaths caused by prostate cancer in the Hampton Roads region of Virginia over the five year period ending December 31, 2022. The baseline for comparison is the five year period ending December 31, 2017. Our goal is to achieve this vision by focusing on the education of all men age 35 and older with additional attention being given to men in the highest risk categories such as men of African descent and men whose father or a brother has been diagnosed with prostate cancer. Recognizing that this is not a one size fits all situation, we are committed to raising the level of understanding among all men so they will be prepared and better positioned to talk with their doctors and make informed decisions about the pluses and minuses of early detection activities, biopsies and treatment options.